A fight that took him over 7 years to establish and is now worth well over $300 million total. 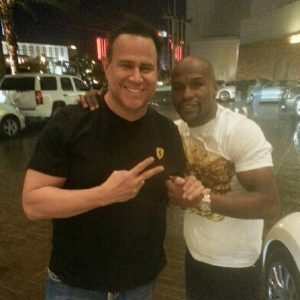 Keith Middlebrook, the man who convinced Floyd Mayweather to fight Manny Pacquiao on May 2, 2015. The record-breaking welterweight battle at the MGM Grand Garden Arena in Las Vegas is to rake in over $200 million for Floyd Mayweather alone, according to Middlebrook. #KeithMiddlebrook, #FloydMayweather, #MayPac, #LindsayLohan, DonaldTrump, #KEITHMIDDLEBROOK, #KeithMiddlebrookProSports. 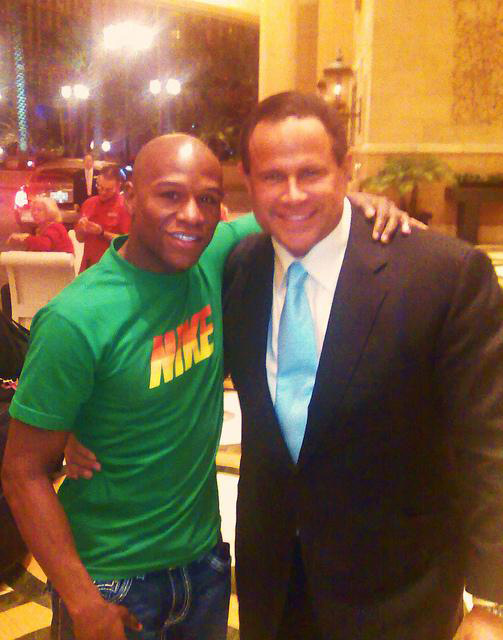 Middlebrook, owner of Keith Middlebrook Pro Sports Entertainment, headed up negotiations with Mayweather for upwards of seven years before finally settling on a deal. It took several meetings between the two to set up what is now the biggest fight in history, but Middlebrook knew exactly how to persuade Mayweather. Make sure he knows that this fight was in his best interest. Middlebrook is the man who is attributed to setting up the monetary side of this superfight. Middlebrook repeatedly reassured Mayweather that the whole world was waiting to see him beat Pacquiao. Moreover, he instilled the potential earning of a $120 million dollar purse for Mayweather after a 60/40 split on the fight, assuring him it’s all about the money. In addition to the salary Mayweather will receive for the fight, Middlebrook estimates that with Pay-Per-View (PPV) receipts, ticket and merchandise sales, corporate sponsorships, foreign broadcast rights and closed-circuit income, Mayweather will accumulate a total profit of $205 million according to Middlebrook’s calculations. 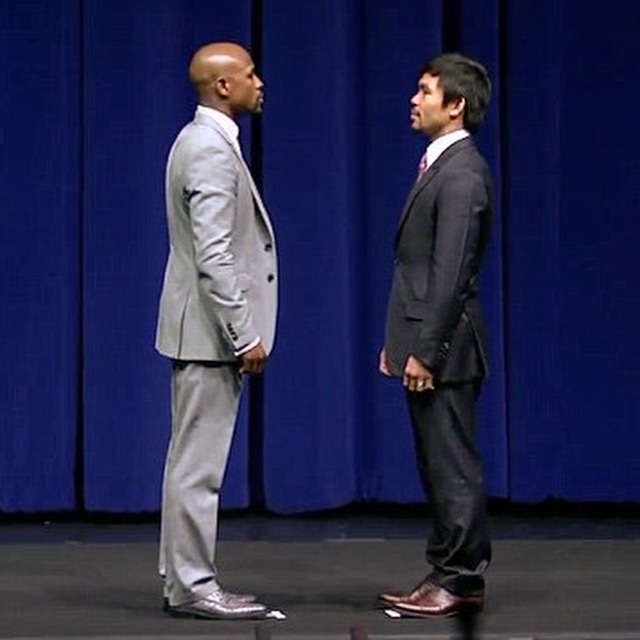 The Mayweather-Pacquiao fight was originally negotiated to occur back in 2010, but both sides could not come to set terms. Issues regarding the purse split, drug testing and fight location have now been resolved, and all eyes are awaiting the showdown between undefeated, five-division world champion Mayweather and eight-division world champion Pacquiao. The fight has potential to break PPV and gross revenue records with the immense level of excitement and long-lasting anticipation, especially with Showtime and HBO holding a joint PPV. #KeithMiddlebrook, #KeithMiddlenrookProSports, #FloydMayweather, #MayPac, #MayweathervsPacquiao, #FightoftheCentury. Middlebrook is the one who ensured that the Mayweather-Pacquiao fight will happen. After years of negotiations and persistency, he has set up what has been dubbed the Fight of the Century. Our interview with Middlebrook was over 2 hours long, there is much more detailed news and information about the upcoming fight with Middlebrook’s insights into one of the greatest boxing matches history has ever seen. We will be releasing the full video very soon; this is part of 1 of 10 of a daily countdown to full access via our interview with Mr. Middlebrook. Follow Mr. Middlebrook’s posts on Instagram with #keithmiddlebrook and twitter @4kmiddlebrook. After our thorough investigation and research we have found that Mr. Keith Middlebrook has had extensive and exciting career in working closely with some of the biggest pro athletes in history, and since he is the owner of several companies in the business he is very forthright in leaving no details behind in our conversations. Mr. Middlebrook is not only an entrepreneur and expert negotiator, he is also a seasoned actor and has appeared in several major film productions.